End of another month means another Daring Bakers post. Sarah from All Our Fingers in the Pie was our February 2013 Daring Bakers’ host and she challenges us to use our creativity in making our own Crisp Flatbreads and Crackers! I went with gf cheddar crackers, which came out quite tasty. My only complaint was that using a white cheddar meant they didn’t have the Cheez-It orange I apparently want in my cheesy crackers. 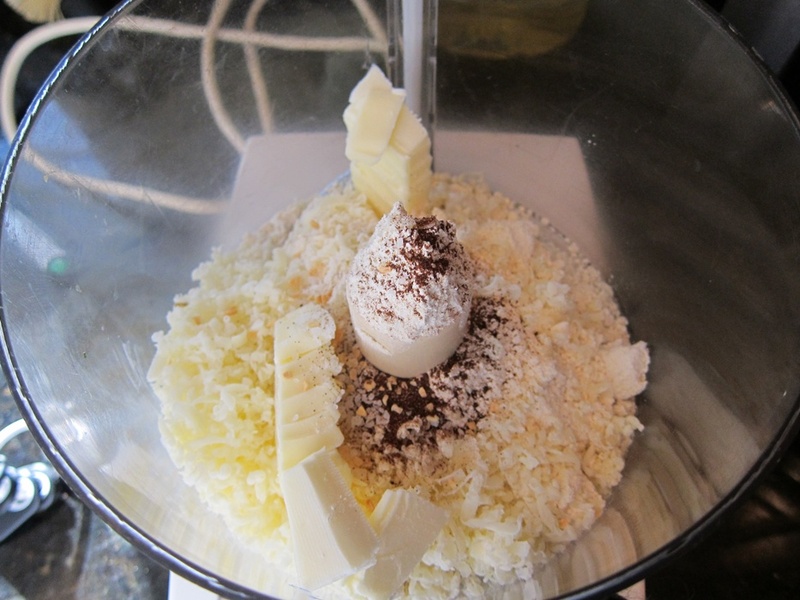 Put all the ingredients except the water in a food processor. Process in short bursts until it’s been processed for about one minute total. Add 2 tablespoons of the water and process (this time continuously) for 1-2 minutes, until the dough comes together in a ball. If it hasn’t come together by the end of two minutes, add another tablespoon, and try again, adding the last tablespoon of water if needed. 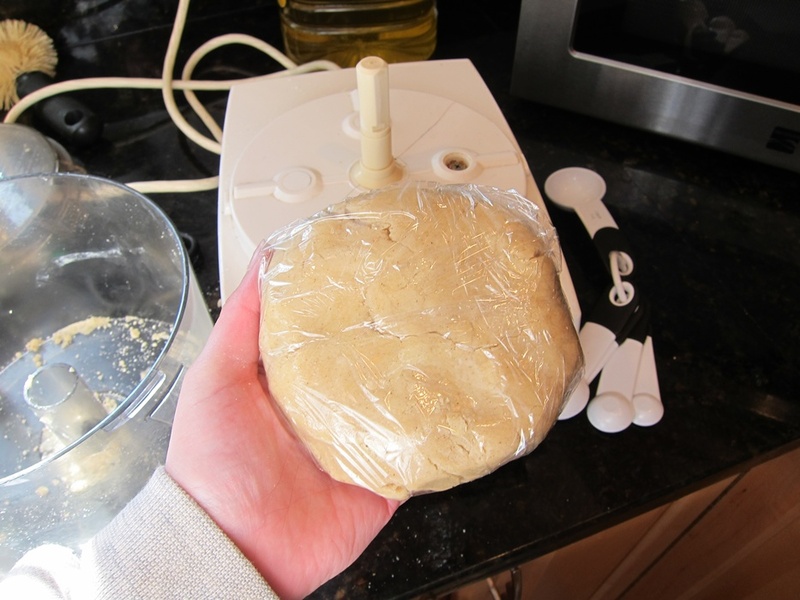 Turn out and knead together briefly until all the bits stick together, then form into a ball. Press into a disk, wrap in plastic, and refrigerate for half an hour. At the end of the half an hour, preheat the oven to 375 degrees. 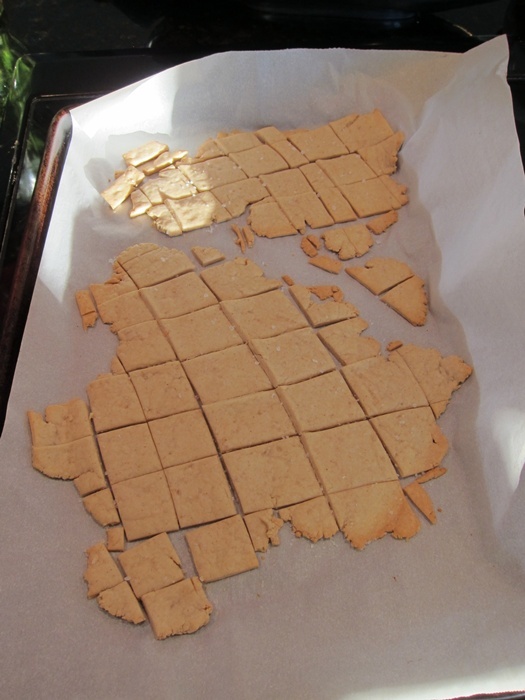 If you have small cookie cutters you want to use to make shaped crackers, then roll out the dough 1/3 at a time between two sheets of parchment/wax paper to 1/8″-1/16″, leaving the dough you’re not working on in the refrigerator. If you’re not using cookie cutters, it’s fast enough to roll out the whole amount of dough you don’t have to worry about rolling out in batches, it will all stay chilled. If you don’t have cookie cutters, just use a pizza cutter or knife and cut into squares, diamonds, or other shapes as desired. 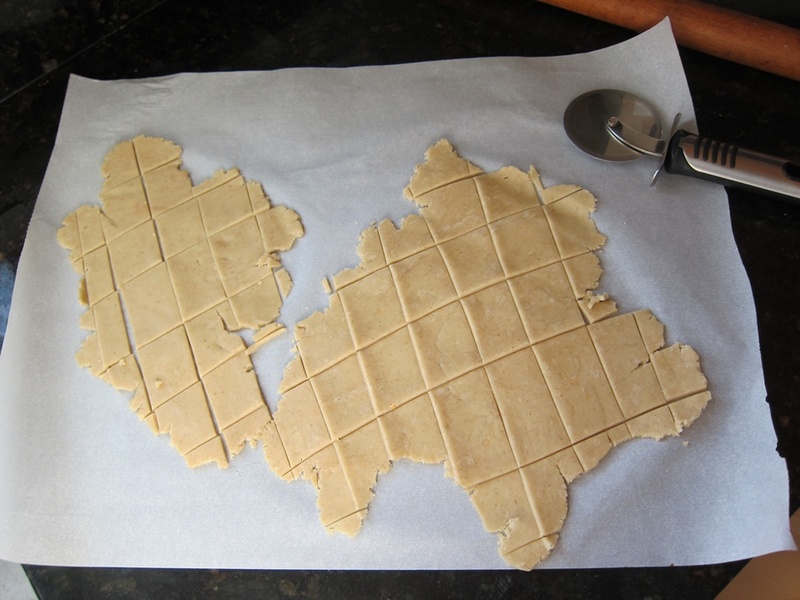 Transfer the cut out shapes, or just the entire parchment you rolled out a non-cookie cutter batch, to a baking sheet, and bake until puffed and golden brown at the edges, 7-9 minutes. Remove from the oven and cool on a wire rack. These may not look like much, but they’re a really solid starter cracker. I could see adding some herbs next time, or some more sea salt on top, and will definitely aim for the thinner side when rolling out the dough. 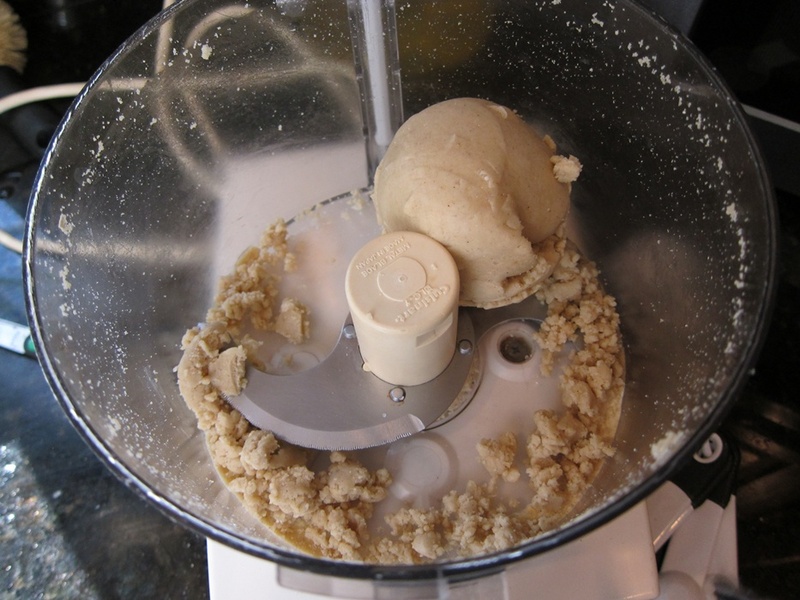 Put all the ingredients except the water in a food processor, and process in short bursts until it’s been processed for about one minute total. Add 2 tablespoons of the water and process (this time continuously) for 1-2 minutes, until the dough comes together in a ball. Add remaining water as needed until dough comes together. At the end of the half an hour, preheat the oven to 375 degrees. 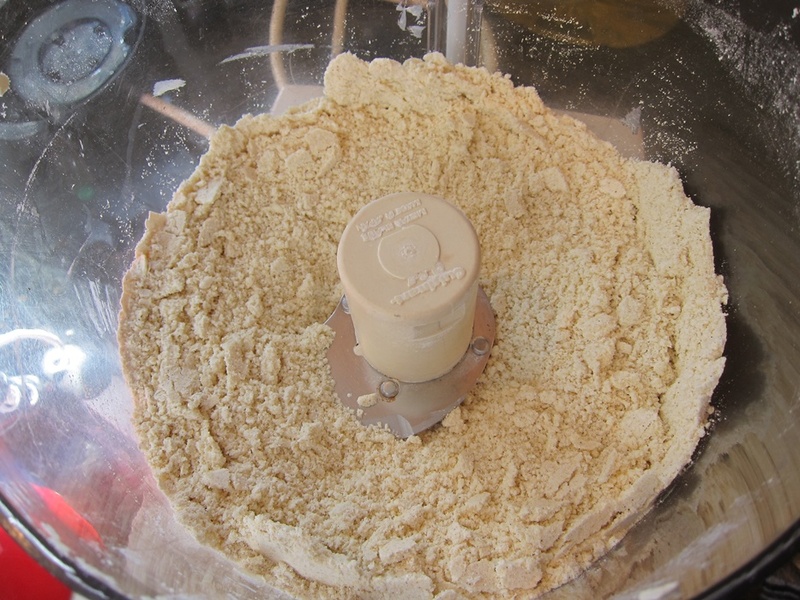 Roll out the dough 1/3 at a time, leaving the remaining portions in the refrigerator, to 1/8″-1/16″ thick. Cut with small cookie cutters, transferring the cutouts to a parchment-lined sheet. Once all the dough has been rolled out and used up, bake until puffed and golden brown at the edges, 7-9 minutes. This entry was posted in Snack and tagged cheddar crackers, cheese crackers, Daring Bakers, gluten free, gluten free crackers. Bookmark the permalink. Hmmm. I wonder if I could make this dairy-free with my normal substitutes? I might have to try.